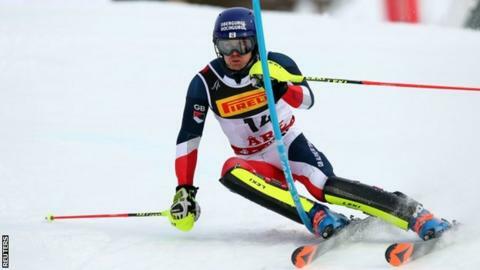 British skier Dave Ryding achieved his best Alpine World Ski Championships result with ninth place in the slalom. Ryding was third fastest on his second run but a slower first effort saw him finish with a combined time of two minutes 07.03 seconds in Are, Sweden. That was 1.17secs slower than Austrian Marcel Hirscher, who won a record-equalling seventh world title. Austria won all three medals, with Michael Matt second and Marco Schwarz third. The gold is Hirscher's third slalom world title and his seventh across all of the alpine skiing events - equalling the record of compatriot Toni Sailer.